Rebecca from Thirteen Red Shoes is with us today to share a fun list of lovely pop-up books. I can still remember my childhood favorites. They are a great way to engage young readers and to nurture an appreciation for the written word. 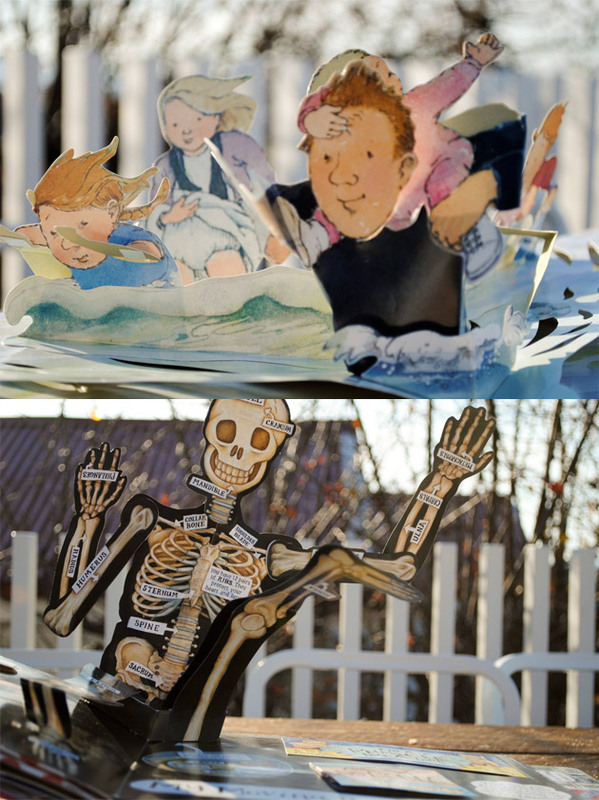 I just adore pop up books and over the years we have developed a lovely little collection. I find them engaging and believe they create an entirely new way to view a story, even one which you may have read over and over again. 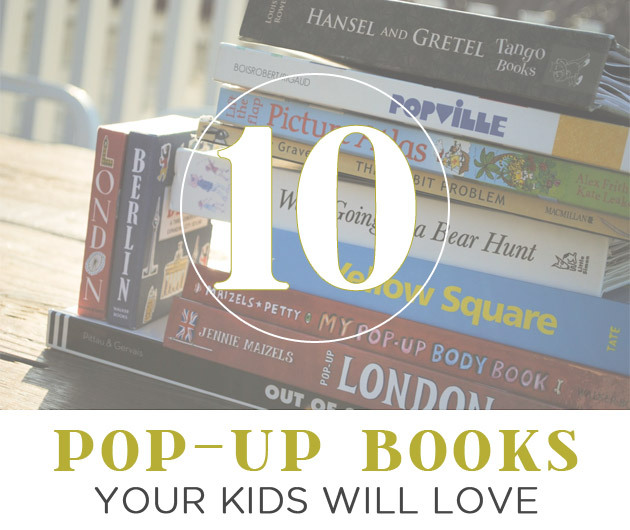 I find pop up books interactive and bold, perfect for encouraging little ones to think outside the square. Here are some of my favorites that sit on our shelves. 1. The Sarah McMenemy city series. Just delightful and informative. 2. Popville | Anouck Boissrobert When this book first came out, it was everywhere and I put it on the list for our advent calendar straight away. We love it. There are no words, but the story of a small town changing over the passage of time is very moving. 3. Hansel and Gretel | Louise Rowe I adore the classic tale of Hansel and Gretel. The messages are at conflict with how we would talk to our children today, however the story of love and support between siblings is usually my focus. This edition is beautiful. Louise has paper engineered a few other classic fairy tales such as Little Red Riding Hood and Sleeping Beauty. 4. My Pop Up Body Book | Jennie Mezzles and Will Petty This is our second copy of this book. The first came to a rather sad end and we just had to replace it. Informative and ever so perfect for littles interested in how our bodies work. My five year old adores this book. 5. Yellow Square | David A Carter Yellow Square is the fourth installment from the creative David A. Carter. This book makes you think and explore as you navigate through the pages to find a hidden yellow square. There are a few pages where we simply cannot find it! 6. Out of Sight | Pittau and Gervais Over 50 animals are hidden on the pages of this book. It is filled with facts about the animals that we share this planet with. Using footprints, silhouettes, tails and noses to give you a clue as to who is hiding behind the paper flap. 7. Pop Up London | Jennie Maizels We have had this book since the lead up to the Summer Olympics hosted by London. Even though the Olympics have come and gone, this book still spends a lot of time on our kitchen table as we flip through the pages and talk about this amazing city. Perfect for any little with a love for travel and history. You can see an inside preview here. 8. We’re Going On A Bear Hunt | Michael Roson We have multiple copies of this book—as a book with audio, a board book, and as a pop up. This is magical and an absolute favorite. Again, another copy which we have had to purchase twice due to little fingers being too excited, but well worth it. 9. 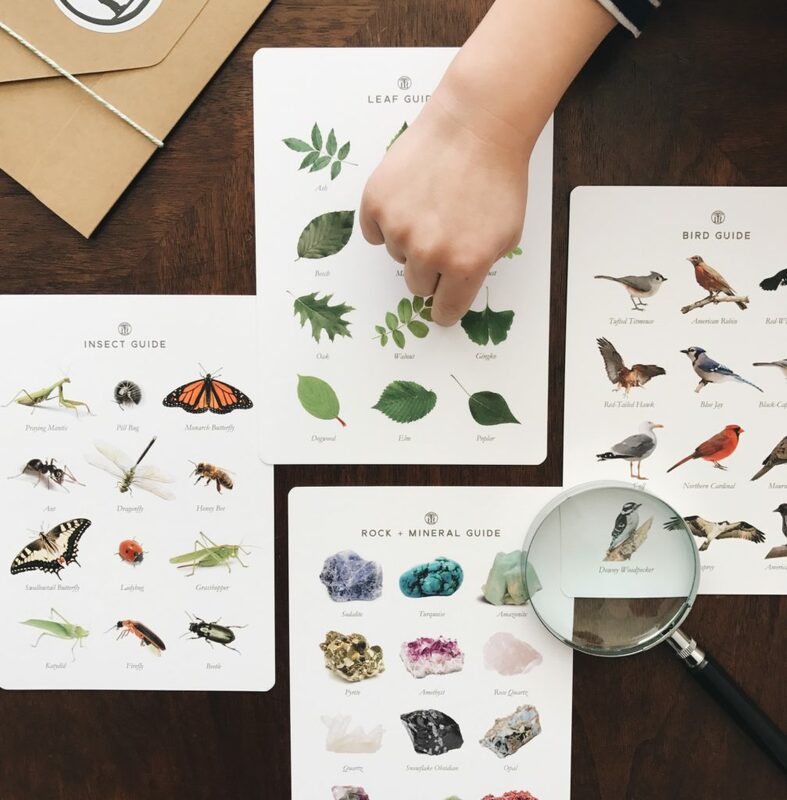 Lift the Flap Picture Atlas | Jane Chisholm A beautiful collection of maps of the world, illustrated with beautiful details and filled with facts that most littles would find interesting. I have used this book both with little R (aged 5) and at work with older children. A lovely addition to any home or school library. The illustrations by Alex Frith and Kate Leake are bold and bright and are what make this book so adorable. 10. Lost and Found | Oiver Jeffers This has been my favorite of the pop up book collection over and over again. I adore Oliver Jeffers and the paper engineering in this edition is refined, yet delightful. A little inside preview can be seen here. Look what we now have for the littles bedrooms… these beautiful acrylic booksee bookshelves from Ubabub. I cannot wait to get them up on the wall!